Hello. CSS looks weird at the moment as we're tweaking some exciting stuff behind the scenes. Normal service will be resumed shortly. This is Yappy Dog. A friendly canine who used to go on all sorts of adventures circa 1981-1983. I’d forgotten all about him until recently when I started to become interested in my own artistic inhibitions and recalled a time when they didn’t exist. Yappy Dog suddenly sprang back into my imagination. All of a sudden, vivid memories of 9 or 10 year old me writing and illustrating stories about him came flooding back. I remembered how much I used to love drawing him and colouring him in. I remembered that, for the last year of primary school, I was regularly invited by my teachers to read his stories to the younger children in reception, drawing huge pictures of him to help stoke their excitement. They loved him. I loved him. Then, for some reason, I stopped drawing him. Yappy Dog was lost in time. Not dead, but kept in suspended animation somewhere deep in my imagination. It took until April 2016, inspired by this cartoon in Lynda Barry’s inspirational book “Syllabus: Notes from an accidental professor”, for me to get out a pen and draw him again. As I looked at the simple image of Yappy Dog it was like looking at a photo of a long lost friend. He hadn’t changed much at all and I smiled as I remembered how easy he was to draw. I wondered to myself why I had stopped drawing him. Going to secondary school and no longer having an enthusiastic audience of 6 year olds obviously had an impact but that didn’t feel like the root cause. Staring at the simple picture on the page in front of me I realised that I think that I stopped drawing Yappy Dog at the very moment I started to become self-conscious about my art. At the moment I began to judge him and regard him as a bit crap. Not good enough. A bad drawing. I took an experiment to The Lab that was inspired by Barry’s question “How old do you have to be to do a bad drawing?” After a short warm up I invited people to draw the last doodle that they drew before they became self-conscious about doodling. An invitation to connect with an act of artistry that they used to undertake simply because it was fun. The pieces that emerged were simultaneously beautiful and liberating. It was surprising how quickly the doodles came. 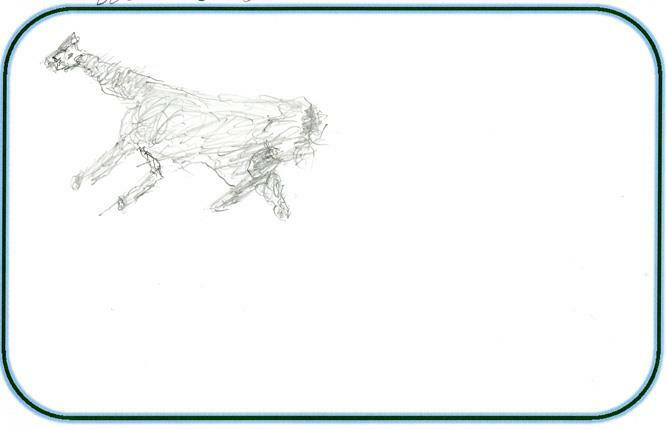 Some were reunions with long lost characters, others were images that came simply through re-connecting with the spirit of drawing for the sake of drawing, without the constraints of them having to serve a particular purpose or be of a particular quality or style. People spoke of experiencing the freedom of just moving the pen about the page, the liberation and enjoyment of doodling without any pre-determined purpose or objective. I can’t help but imagine what other creative wonders we might unlock if we were to re-connect with a moment before we became self conscious. How old do you have to be to write a bad song? How old do you have to be to take a bad photo? How old do you have to be to have a bad idea? How old do you have to be to have a bad ambition? 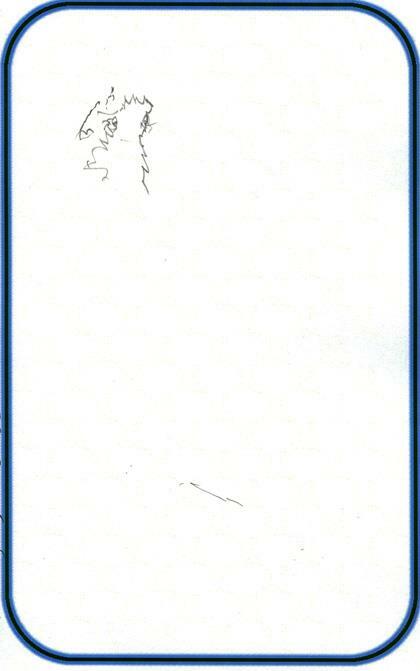 I’ve drawn Yappy Dog a number of times since he became cryogenically defrosted. Not simply because I want to draw him, but because I know he’s missed me and likes it when I do. It’s wonderful to see him come back to life. Steve and gestalt psychotherapist Simon Cavicchia are running their next “Playing at the Edge – Discovering our Inner Critic” workshop in London on the 20th-21st October 2016. This workshop uses a variety of gestalt, mindfulness, creative practices, masks and movement to help us begin our own investigation into our inner critic. More details can be found here. I’ve never been that fond of conferences. I remember right back at the beginning of my corporate career the familiar cycle of excitement and anticipation in advance of getting a day out of the office, feeling socially awkward on arriving at said conference, getting rather bored with the content and then leaving with a sense of relief that the whole thing was over. Not much has changed nowadays except that I have short-circuited this cycle and generally don’t go to conferences in the first place. Putting the subject matter and quality of the content to one side, I’ve always assumed that my dislike of conferences was due to being rather introverted and reflective, preferring to spend my time with one or two people I know or finding time and space to make my own sense of things away from the usual ‘fire hose’ of conference content. However, whilst this is true, I have started to realise that the reason I find these events so unfulfilling is because, whilst there are lots of people in attendance, one rarely gets to fully meet anyone. In his wonderful book “Dumbing Us Down – The Hidden Curriculum of Compulsory Schooling”, John Taylor Gatto talks of the rather worrying side-effects that the American school system has on its pupils and on the society they graduate into. He suggests that “our school crisis is a reflection of a greater social crisis” where we have lost connection with each other and live our lives in networks as opposed to communities. “Networks, even good ones, drain vitality from communities and families. They provide mechanical solutions to human problems, when a slow organic process of self awareness, self discovery and cooperation is what is required if any solution is to stick. Aristotle saw, a long time ago, that fully participating in a complex range of human affairs was the only way to become fully human. Networks, however, don’t require the whole person, but only a narrow piece. If you function in a network, it asks you to suppress all the parts of yourself except the network-interest part – a highly unnatural act although one you can get used to.” This thin slicing of ourselves that begins in education continues and is amplified in adult life, in particular in the corporate world and it strikes me that our tradition of business conferences are a major manifestation of this pattern. It seems we need a revolution in how we meet each other in the workplace. How do we create the time, space and permission to perpetually value the whole person that is standing in front of us instead of the thin slice that our habitual corporate networks legitimise? How do we become more aware and empathic with the personal stories surrounding the human being who is currently talking about strategy or metrics in a business meeting? And who decides what is relevant/not relevant, appropriate/not appropriate to bring into the world of work and how can we blur the lines here to build stronger, more powerful communities that are a force for change and creativity? I’m not suggesting that businesses should force people to disclose personal stories in a scripted, awkward and rigid way that would essentially be just another mechanistic form of a network – I simply wonder how we can bring more of ourselves into the workplace in amongst the legitimate work that needs to be done. I’ve long toyed with the idea of encouraging an international Bring yourself to work day – maybe the time has come to take that idea seriously. John Taylor Gatto suggests that “If the loss of true community is not noticed in time, a condition arises in the victim’s spirit very much like the ‘trout starvation’ that used to strike wilderness explorers whose diet was made up exclusively of stream fish. While trout quell the pangs of hunger and even taste good, the eater gradually suffers from want of sufficient nutrients.” When it comes to creativity, networks seem to lack the very nutrients required to fully support our imaginative, creative selves. Networks seem to value application over awareness, performance over process and judgement over curiosity. It is only by waking up and challenging these norms that we can ever generate communities that value the whole person and therefore give the creative permission required to fully grow as individuals and as organisations. As Jamie Catto asked in his closing speech at Learnfest 2015 “Why have we agreed these silent contracts to show so little of ourselves?” It seems that asking ourselves and those we work with this question is a wonderful start point to re-humanising the workplace. Note: The beautiful trout pattern in the heading is from “ALYSSA”‘ ON FLICKR. I noticed I was feeling rather anxious as the weekend of 16th May approached. I’ve learnt over the years that, even if my head tells me that I’m calm, my body tells the truth. I admitted to myself that I had that undeniable feeling in my shoulders and my chest that I was unsettled or worried about something that might happen. I’d dabbled with mask work very briefly a few years back at a Keith Johnstone workshop and I’d found the very brief 15 second experience quite challenging. I remember that I’d tried really hard to act into the scary looking mask but it seemed it hadn’t been good enough and Keith had said “OK, take it off.” At least it was only 15 seconds of feeling like a mask failure. But now I was facing three whole days learning masks with acclaimed teacher Steve Jarand and a bunch of strangers. As I got off the train at Waterloo and wandered towards the venue (ridiculously early as usual) I felt a surge of anxiety that, whilst unpleasant, I have learnt to embrace as a sign that what I am about to do is something that is delightfully out of my comfort zone. Three days later and I was feeling much happier having made a new friend. I think his name was “Mormo” – a guy with big bushy eyebrows and a black beanie hat. He looked to me like a Norwegian fisherman. I’m not sure how old he was or even if Mormo was his name. It was difficult to understand him because he sort of shouted rather than spoke and he only said his name once at some point during day two, so I may have misheard it. It was one of only a few words that he could say but I was astounded at his progress over the weekend. Mormo moved from being only able to stand and shout, to being able to sit and interact with Steve, to feeling some basic emotions, to eventually having a rather bizarre but sweet ‘date’ with a young lady called Susan. It was as if I was watching a brand new personality being written from scratch as, in short burst of 3 or 4 minutes Mormo learnt new things. 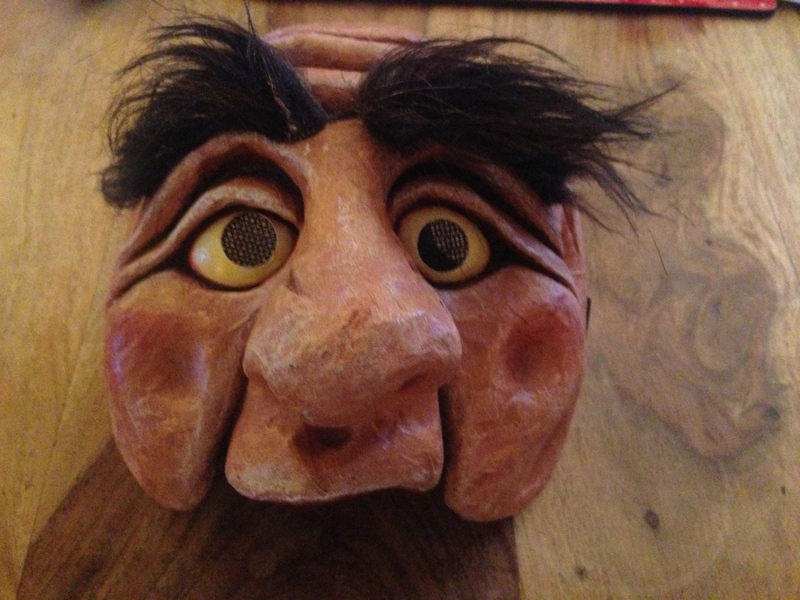 Mormo was my mask. The only mask I had managed to ‘turn on’ over the space of the weekend and he now fascinated me. What surprised me most about working with Mormo was that the experience was nothing like I had imagined. Previous experiments (eg. The masked innovation workshop I mention in Can Scorpions Smoke?) had got me curious as to the different levels of permission a mask can give the wearer to tap into their innate, spontaneously creative self. I’ve also written previously about my experience wearing a 6.5 foot lion costume in a corporate headquarters and how this experiment with identity altered my perceptions of power and status. But this work with the often-bizarre looking half masks (referred to by both Keith and Steve as “trance masks“) was something altogether different. I can only describe it as an experience of pure spontaneity, as if I was gradually building up layers of a brand new identity in short but intense spells. This process seemed to help bypass my habitual, ingrained patterns and beliefs about who I am and how I should be in the world much more than my previous mask experiments. My fear of the workshop soon evolved into a sense of excitement and liberation as, even after taking the mask off, I felt like I had given my sense of identity a good workout and dormant, creative parts of me had awoken. Simon continued “A particular interest of mine is shame and how this can be kept in place by our inner critic – Freud’s “superego” – the part of our personality which observes and monitors how we are, finding fault and driving us to strive for ideals that often leave us feeling like failures and deficient in some way. Experimenting with masks could give expression to the superego part, taking on its character and energy, experiencing directly its tone and preoccupations in order to become less identified with it by seeing it for what it is. Fritz Perls was fond of inviting clients to dialogue between different parts of the self and mask work would allow for different parts to be taken on such as the superego and the more spontaneous part that is oppressed by it – what Perls called the “underdog”. 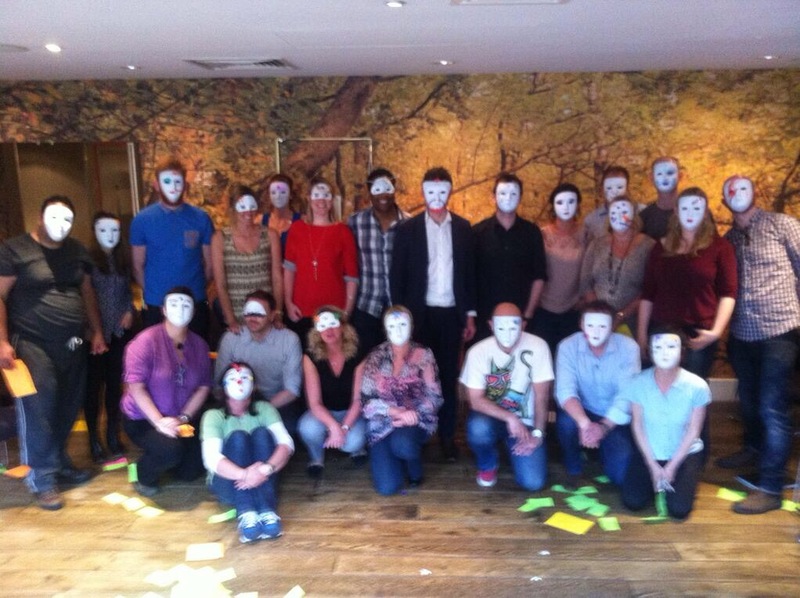 On November 9th and 10th 2015 Steve and Simon Cavicchia are running an experimental workshop using creative techniques, including masks, to explore the personality and our “Inner Critic” and its effect on realising our full creative potential. Further information on this workshop can be found here. Even though I use it on a daily basis, I find the word “creative” to be a little problematic in helping people and organisations to bring more creativity into their lives. The main problem, as I see it, is that the word has been ‘thingified‘ to such an extent that it has turned creativity into a deceptively concrete ‘thing’ that results in it being spoken about as if it is a boy scout badge to be attained or a super power that some have and other’s don’t. I often begin talks by asking the audience “Hands up who is creative!” This question seems to make the majority of people at least a little uncomfortable. Those who consider themselves to not be creative feel a bit deficient, those that believe they are creative feel under pressure by declaring it and everybody else seems internally conflicted, agitated or confused by the yes-or-no nature of the question. The reason I ask this question is not because I am interested in the answer. It is simply to start to explore the notion that the word “creative” is an unhelpful starting point when looking to bring more creativity into one’s life. By challenging this we start to realise that it isn’t a black and white fact that some people are creative and others are not. Realising and accepting this means that we can liberate ourselves from the self-imposed pressure to become something that we believe we are not and simply focus on the act of creating – a process that requires increased awareness as opposed to increased effort. By de-thingifying the word “creative” and turning it into a lively verb, we suddenly have a plethora of opportunities to explore and experiment in the act of “creating”: anything from art, music, writing, movement, poetry through to simply experimenting with a new route home from the office, creating a new recipe by adding a new ingredient, making up a story, talking of a great idea with somebody else or creating a plan to go somewhere different on holiday (etc.) The content and outcome is somewhat irrelevant, it is being fully awake and aware during the process of creating that seems to shift and liberate things inside of us. I often have to qualify my assertion in Can Scorpions Smoke? that everybody has a frozen creative genius inside by adding that I am not suggesting that everybody can become a Rembrant, a John Lennon or a Frank Gehry (ie. aspirational “Creative Heroes” as defined by society’s traditional sense of the word). What I am strongly advocating though is that everybody has a more creative version of themselves buried inside and all they need to do to unleash it is give themselves permission to engage in wanton acts of creating. What they do as a result of that permission is unique and “genius” to that individual. 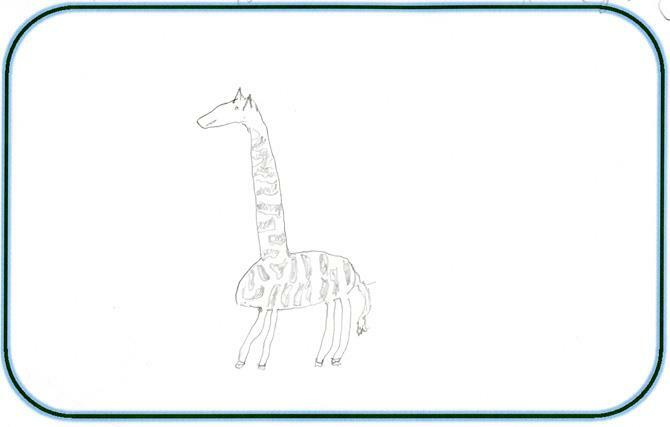 I was recently reminded of The Giraffe Project, an experiment I conducted in late 2012 where I asked 100 random people to draw a giraffe. Towards the end of the project I noticed that, whilst I had a broad spectrum of contributors, I had no drawings from anybody over the age of 70, so I arranged a visit to a local retirement home to draw giraffes with the elders of Surrey. The time I spent with this small group of volunteers was one of the most rewarding and inspiring experiments I’ve done. It was initially also one of the most challenging! 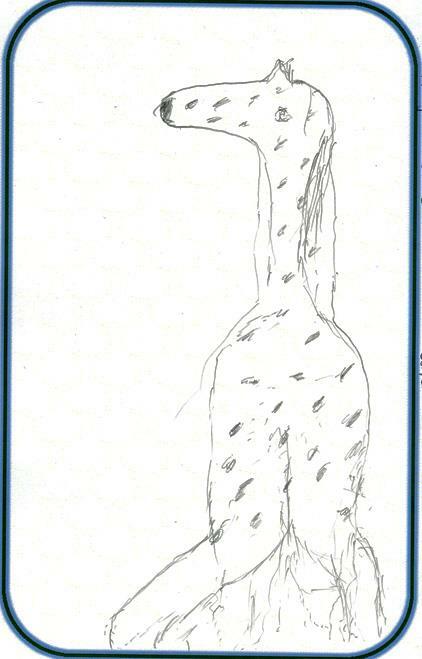 I had imagined that the residents of the home would throw themselves into the task of drawing giraffes as a welcome break to their routine, but when I arrived I was rather abruptly interrogated by them. “Who are you and where are you from?”, “What’s the point in what we’re doing?“, “What are we going to get out of it?“, “Why do we have to do it?” – all very legitimate but naively unexpected challenges. I tried several different ways of explaining The Giraffe Project and my interest in creativity but we kept on going round in circles and I started to feel rather anxious and embarrassed. Then one elderly lady called out “Why don’t you draw one first and then we’ll see if we want to join in.” I was devoid of any other options so I found a flip chart and drew a rather misshapen giraffe using a green marker pen whilst they all looked on. As I started to colour it in and add detail with the blue pen (I only had the two colours!) I noticed that the group had started to scribble on their papers. Some were smiling as they did it, some were concentrating intensely but all of them seemed engrossed. They occasionally paused, laughed, compared notes and offered praise or a playful critique of each other’s work. 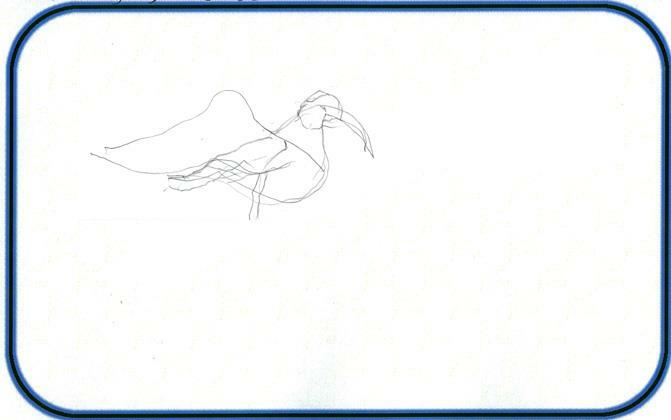 Then, after about 15 minutes, they finished and shared what they had drawn. It was this moment that was so moving. The beautifully imperfect giraffes weren’t just pieces of art but artefacts of a wonderful moment of co-creating: a process in which these 80-90 year women (and one man) had given themselves and each other permission to create. It was only when I eventually moved from encouraging them to do something creative to joining them in an act of creating that the permission was established, the pressure to perform was removed and everybody chose to engage in the process. Through regarding our time together as an act of creating rather than an effort to be creative, what the pictures looked like was irrelevant. One kind and gentle lady had severe Parkinsons disease and, even though she apologised to me for the appearance of her beautiful creation, said that she thoroughly enjoyed the peaceful process of creating it. The outcome was irrelevant, the group and I had simply enjoyed a fleeting moment of indulging ourselves and each other in an otherwise pointless act of creating. Below are some of the pictures they created. Though not many, they remain my favourites from the whole Giraffe Project Experiment. You can view the entire Giraffe Project gallery here and read more about the experiment here. I’m a fan of London and one of my favourite activities in the city is to walk. I try to walk everywhere if at all possible and it is through many years of doing this that I’ve got to know how the different parts of the city join up. I’ve discovered that places I thought were far apart from each other are actually only a 10 minute walk. I’ve discovered new parks, pubs, restaurants and other interesting places by walking down roads I never before new existed. I’ve discovered a plethora of short cuts, alleyways, dead ends and wrong turns, all of which turn my time in the city into an adventure. Through walking more I’ve also learnt how inaccurate the tube map is as an above-ground navigation aid! Despite its flaws, I am a fan of the tube (The London Underground Network). The majority of the time it is quick, efficient and provides a great service for those journeys where I simply don’t have the time to walk. One of the things I love about the tube is its design. The whole experience feels, at varying points, like a museum, an art installation, a futuristic subterranean city or a insight into the London of the past! 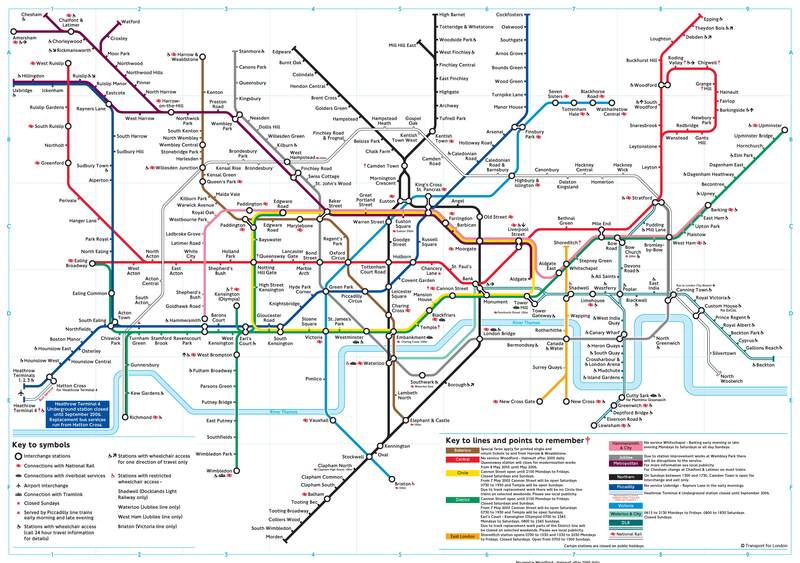 However, the piece of design I love the most is the tube map. Compared to other rail networks I have used around the world, I find the London Underground map to be the simplest, the most logical and the most aesthetically pleasing. The main reason why Harry Beck’s masterpiece works so well is that it only bears a passing resemblance to the landscape above ground. Whilst the overall orientation of North, South, East and West are roughly correct the distances between stops have been normalised, curves have been perfected and everything else turned into equally spaced straight lines and simple intersections. However if one were to look at a geographically accurate map of the tube that has not been corrected in this way it is drastically different. Rather than looking like a neat wiring diagram it looks more like a central nervous system. More organism than machine. Despite this all being rather obvious I regularly come across a plethora of organisational change efforts that use the map to make key decisions, believing that it is an accurate portrayal of day to day organisational life. When it comes to culture change efforts it seems that many unintentionally set out to only change the map, perhaps secretly hoping that the territory will fall in line as a result (a mistake I have made many times in the past!) As unpalatable, unpredictive and resource intensive as it may be, the only real way to get a sense of the live, vibrant, messy and continually shifting nature of an organisation is to get out, walk around and see what one notices, spotting the glaring inaccuracies and omissions of the theoretical organisation chart, noticing patterns and activities that take place in the white space between the lines and boxes, witnessing how people really interact and, through doing so, discovering the short cuts and dead ends that you would never have known about if you’d just looked at the map! 1. Even the “accurate” tube map is a flawed metaphor for organisational life as power, status and identity are negotiated live in whatever that momentary context is for each individual and not static and permanent. I have written before about organisations not being “things“. thing mapped.” Artist René Magritte illustrates these ideas brilliantly with his work Ceci n’est pas une pipe. piece so can’t credit them. If anybody knows then please let me know.